Quirky and slightly off. 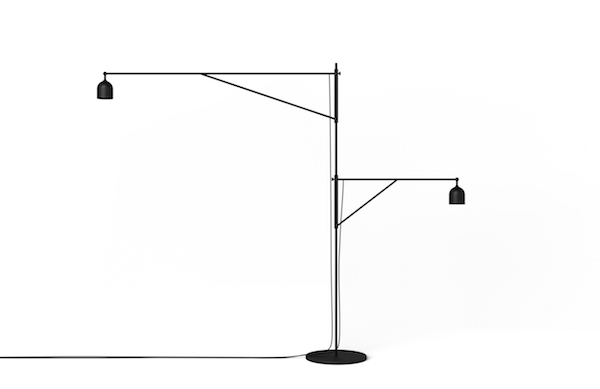 Floor lamp with a quirky anatomy – deliberately proportioned with a somewhat nervous balance. The design derived from wanting to illuminate two areas in close proximity; two sides of a sofa or both an armchair and a desk. It was crucial to the design to keep all elements as delicate as physics could possibly allow.The long arms create a contradictory, almost nervous balance and the design language dictates a personality that can only be described as: Awkward. Anatomy Design is owned and run by Megan Hesse and Andrea Kleinloog. It was started in 2009 in Johannesburg, South Africa, primarily as an interior design studio – the success of some of the product designs led to a need to house them (quite literally). And this was how the retail store began – growing from strength to strength. Both the PRODUCT and INTERIOR sides of the studio have collected numerous awards – and continue to develop with new and exciting projects.